Pioneers in the industry, we offer calibration machine and line calibration machine from India. 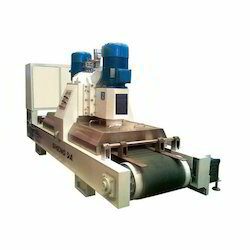 Keeping track of latest market development we are actively engaged in offering Line Calibration Machine. The offered calibration machine is known in the market for its enhanced service life. Our vendor's trained professionals assist us to design this calibration machine as per the set industrial standards. We provide this calibration machine in several technical specifications keeping in mind customer's requirements.